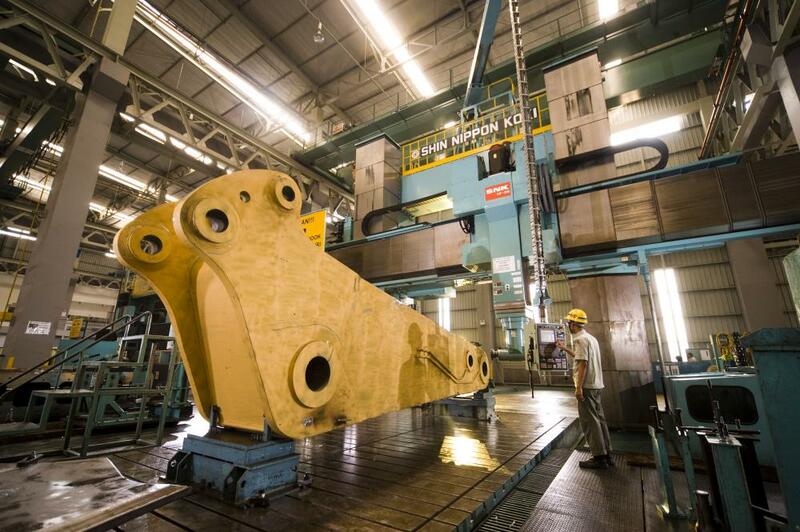 In line with the growing need for bigger components, Komatsu Indonesia in 2009 began building the Big Component Fabrication Plant in the MM2100 Industrial Estate Cibitung, located about 25 kilometers south east of PPIKI, in the same areas as Cylinder Reman & PT Komatsu Patria Attachment. Equipped with HF-7 & HF-8, one of the biggest machinery in the world that can machine big components and attachments produced in this plant, such as arm, boom, crawler, or even center frames of PC2000/PC3000/PC4000. These components are exported to the customer throughout the world such as United States, Canada, UK, and India. This is a contribution of Komatsu Indonesia to Global Komatsu. This also serves as a synergy of all Komatsu’s potential to meet the need of customers for complete units, collaboration between plants in Japan, Germany, and Indonesia.